Mother of Pearl And Paua Shell Fish Shell Hair Clip. Description The fish hair piece is hand crafted with inlaid Mother of Pearl and select pieces of Paua abalone. It is sturdy and works very well with long thick hair. Mother of Pearl And Paua Shell Dolphin Hair Clips. 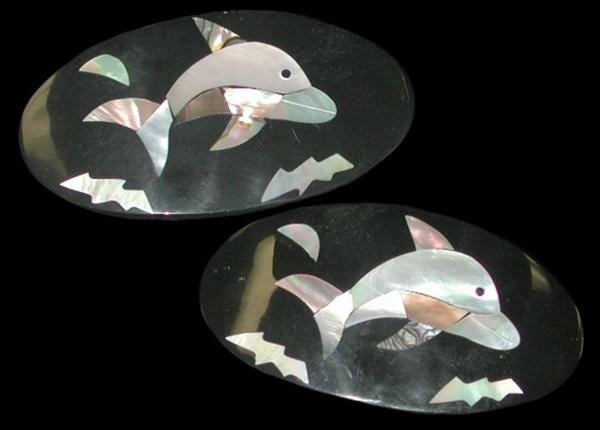 Description The Dolphin Hair piece is hand crafted with inlaid Mother of Pearl and select pieces of Paua abalone. It is sturdy and works very well with long thick hair. 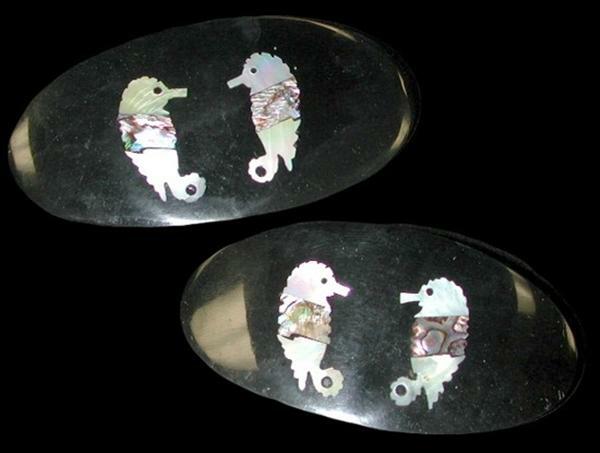 Description The Seahorse clip is hand crafted with inlaid Mother of Pearl. It is sturdy and works very well with long thick hair. Tropical Bird Hair Clip with inlaid Mother of Pearl And Paua Abalone pieces. 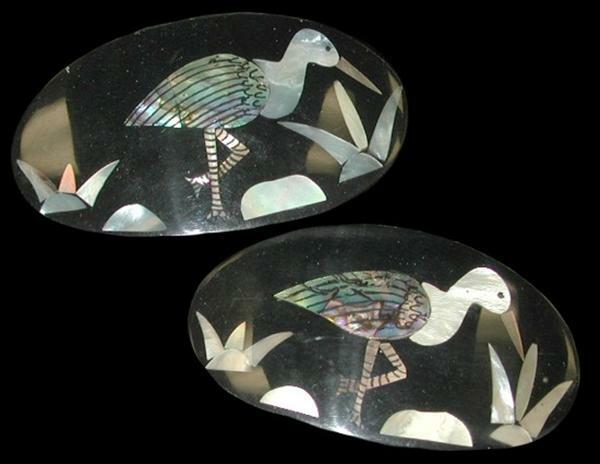 Description The Tropical Bird hair clip is hand crafted with inlaid Mother of Pearl and select pieces of Paua abalone. It is sturdy and works very well with long thick hair. 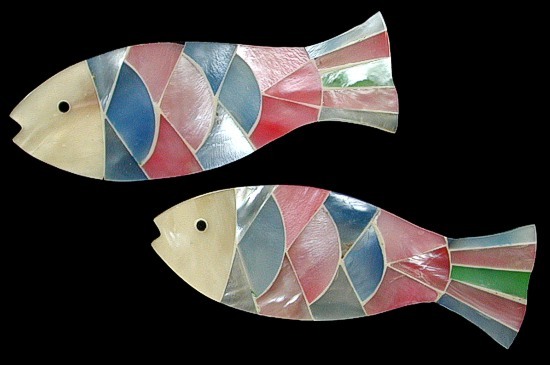 Fish Hair Clip with inlaid Mother of Pearl. 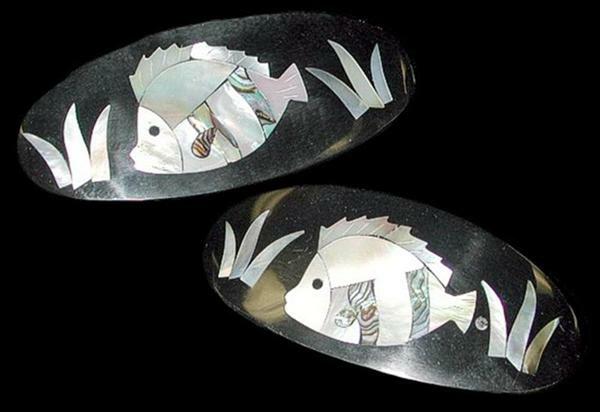 Description The Fish hair clip is hand crafted with inlaid Mother of Pearl. It is sturdy and works very well with long thick hair.